My trip to Busan and Seoul, South Korea last October was memorable as a whole but one very particular experience stood out. As soon as we arrived in South Korea my husband told us right away that he will not leave Korea without eating an octopus. 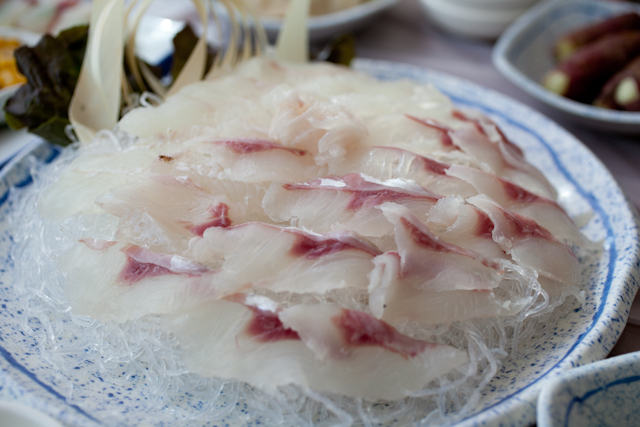 Raw octopus is a famous Korean delicacy. 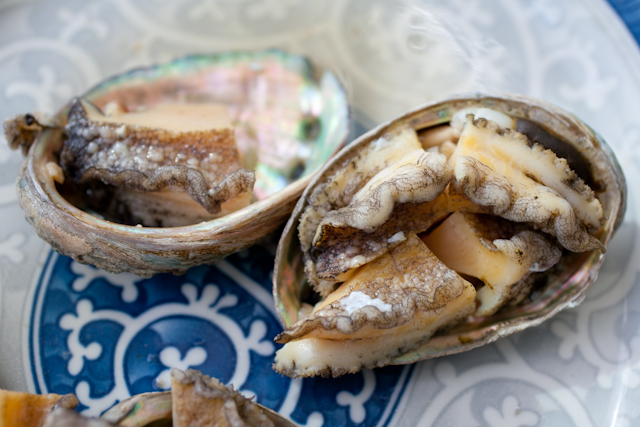 They can be eaten chopped up or whole, depending on what you want or what you are used to. So during our last day in Busan, we went to the Jagalchi Fish Market in search for this special meal. We ended up eating at the second floor of the indoor market (which I assumed was a tourist area since the prices were a bit steep). We ordered a lot of food and it was delicious! We had raw fish/sashimi (that was wrapped in greens with chili sauce), abalone (sooo gooood!! ), fried fish and a lot more. 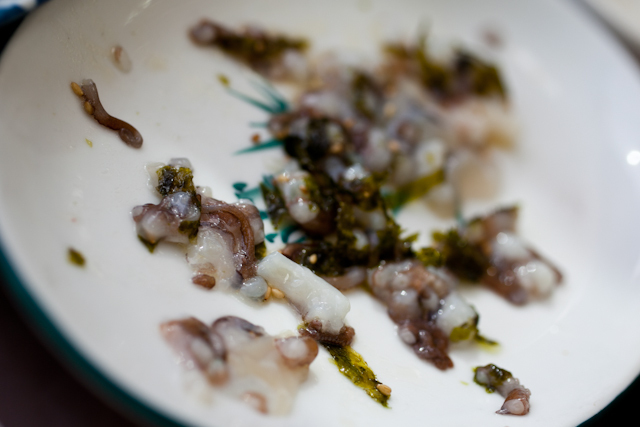 We were served a chopped baby octopus with seaweed and drizzled with sesame oil. I think the waitresses were afraid to give us something bigger since we obviously did not know what we wanted. It was still alive when they served it and did not stop moving until probably around 20 minutes later. My husband and friends eagerly tried it despite the crawling yet chopped tentacles. I tried it only when nothing was moving on the plate. I really didn’t expect to like it but it was pretty awesome. I was glad that they literally forced me to try it, otherwise I would have missed out on an experience of a lifetime.